Pokemon has become one of the bigger franchises from Nintendo over the years, with exciting new titles coming out year after year and with it's two newest installments being Pokemon X and Y only recently released. But with the majority of us here who have played and loved at least one of the games, how many of you know the roots and history of Pokemon? First lets go all the way back to the beginning. The original Pokemon games weren't originally called "Pokemon", they where planned to be called "Capsule Monsters" and instead of being little creatures that you found and captured in the wild, they where little plastic figures available for you to buy/trade that came in little plastic capsules. That idea was than scrapped fairly quickly but the core concepts stayed the same and the series eventually evolved from Capsule Monsters to what it is now - "Pocket Monsters" or as we know we all know it as outside of Japan - "Pokemon"! Lets now fast forward a bit to the very first generation of the game. There are 6 generations total so far, but I will be covering the rest soon enough in another part, for now I will focus on the first 3. 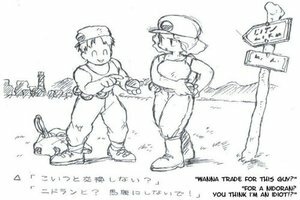 Pokemon Red and Green where the very first two games to come out in Japan and where a huge success for the Pokemon Company since everyone loved the mixture of a role-playing game with strategic game play elements. 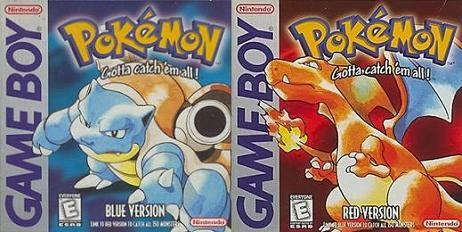 Red and Blue featured an amazing plot line, the Kanto region, and the iconic motto and goal of Catching Them All! There were 151 Pokemon in total to catch and trade! 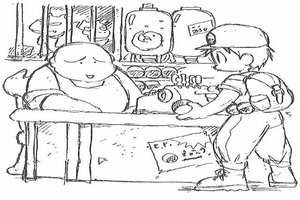 After Pokemon Red and Blue came out in the US they were big hits just like they were in Japan. At this point in time Nintendo was thinking of making Pokemon one of their bigger titles since it was bringing so much success and uproar. You know what that meant, another sequel of course! 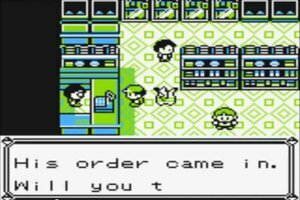 That's where Pokemon Yellow comes from. Now I'm not going to go into much detail about this since Pokemon Yellow is the same game more or less as the first 3. All you need to know really is that. It was introduced for Nintendo's new handheld the Gameboy Color and the game introduced a new color pallet, more bug fixes, and game play mechanics such as Pikachu following you! Jump to 1999 and the second generation of Pokemon games have been released! These games are Pokemon Gold, Silver, and Crystal! Pokemon gold and silver brought allot of change to the Pokemon scene and rocked everyones world with the new "Johto" region to explore, tonnes of new Pokemon, more pokemon in total (251 now), and one of the biggest and amazing game mechanics for it's time - a Day and Night system! For the first time ever on a handheld you can actually go between day and night in a game after you set the time to your current time. But Nintendo didn't stop there. Just like Billy Mays said "But wait there's more!" Gamefreak made it so that depending on the time of day in the game you would find different Pokemon in the wild, from Sentret in the daytime to Hoothoot in the dusk of the night. This was a groundbreaking new feature that was a huge hit! 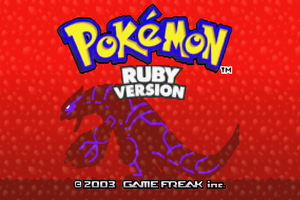 Now lets fast forward a few years to 2003 with Pokemon Ruby and Sapphire, two of the most well known Pokemon games to date. They are part of the third generation of Pokemon games in the series, along with Firered and Leafgreen but I'm not going to talk about those two since they are just remakes of the originals. Pokemon Ruby and Sapphire introduced another 135 Pokemon which brought the total up to 386 different Pokemon! This new generation of Pokemon games featured a bunch of new elements to the series, a detailed environment compared to the older games, natures (affected Pokemon's stats), double battles, individual abilities and of course, another new region - the "Hoenn" region! As I mentioned already, Pokemon Ruby and Sapphire are two of the most popular and fun Pokemon games to date, and for good reason too, the double battle system is great, the region is fantastic and the plot is amazing overall! So with that in mind. What is your favorite Pokemon game and region so far? Have you played any or all of these?